Nkosi holds a BProc from the University of Zululand and an LLB from the University of KwaZulu-Natal. He has spent most of his career as an attorney at Shepstone and Wylie Attorneys where he worked his way up from article clerk to partner. He specialises in local government and administrative law and serves as a legal advisor to a wide spectrum of local government and other public sector clients at the firm. This, perhaps, may explain an article penned for legal magazine De Rebus which raised concerns about the legal basis of the Constitutional Court’s 2009 ruling in Abhlali Basemjondolo Movement SA and Another v The Premier of the Province KZN and Others. The judgment found that Section 16 of the KwaZulu-Natal Elimination and Prevention of Re-emergence of Slums Act 6 of 2007 was unconstitutional. The Court found it gave the state untrammelled powers to evict land occupiers on public land or compel private landowners to do so on private land. “Apparently, the Constitutional Court ruling that s 16 of the Act is invalid is hailed as a victory because this means that the government can no longer compel anyone to evict squatters from the land or building, which renders the Act ‘toothless’. However, the sole purpose of the Act was never to give the government power to compel landowners to evict squatters from land they are occupying,” Nkosi had argued in the article. From a position hugely sympathetic to the provincial and local governments which had dealt antagonistically with Abahlali baseMjondolo (People of the Shacks), a social movement that was mobilising shack dwellers to radically claim their housing rights, since it was formed in 2005, Nkosi maintained that the “main purpose of the act” was to achieve the direct opposite of indiscriminate evictions that would leave people homeless. Maintaining that Abahlali’s legal challenge was “misdirected from the outset” Nkosi’s argument appeared to rest solely on the perception that provincial housing ministers and officials, municipal officials and private landowners would, with the best of concern for the poor, ensure the prescripts of PIE animated whatever action they took against occupiers — a fallacy that was shown up as recently as 2014 when the Constitutional Court found the Ethekwini Municipality had made “unacceptable” dishonest submissions to it about not using a particular court order to continuously evict occupants in Cato Crest in the Zulu and 389 Others v eThekwini Municipality and Other matter. Nkosi has spent four terms acting at the KwaZulu-Natal High Court since 2011. 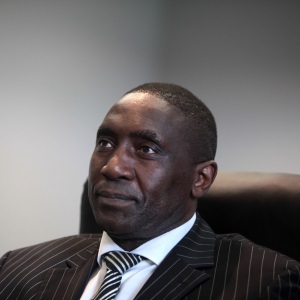 In 2015 Nkosi heard a matter where the applicant had leased property from a landowner and was obliged to pay all rates associated with the property to that person – the respondent. Initially categorised as a “residential” property it was re-categorised as “business and commercial” resulting in a significant increase in the amount payable. The applicant challenged the re-categorisation. “In the present case, the applicant has not demonstrated the existence of any right which forms the basis of its application for declaratory relief. Instead, it is contending that the declaratory order it seeks is based on a question of fact that its property is, and remains, a residential property, irrespective of the provisions of section 50 and 54 of the Act.” The application was dismissed with costs. An attorney who consults widely with local government, Vusi Nkosi was taken to task over an article he had authored for the industry magazine, De Rebus. Penned in 2009 after the Constitutional Court’s judgment striking down the KwaZulu-Natal Prevention and Eradication of Slums Act, Nkosi had argued the court had erred in its decision. Nkosi had helped draft the legislation, which vested wide-ranging powers in the executive to order local municipalities, government departments and enterprises and private landowners to evict squatters from their land. Chief Justice Mogoeng Mogoeng said that while he was “all for judges being criticised” he found the article “strongly” suggested the court had reached its decision because it sought to “appease” Abahlali baseMjondolo, the shack dweller movement that was looking to have the legislation struck down. Nkosi did not defend the position he had adopted in the article substantively. He first apologised for his “choice of wording” and then said he “was not saying my views were right” because his only intention was ensure “robust” debate about the issue. Mogoeng wouldn’t let up, observing that the comments “casts some kind of aspersions” on the independence of the country’s highest court, suggesting that its justices were “corrupted” and unable to adjudicate without “fear, favour or prejudice”. Nkosi reiterated that he had erred with his choice of words and did, again, not defend his position. He was also taken to task over comments he had made during the interview that he often tried to brief black and female counsel when there were “less complex” issues to deal with. Nkosi told the commission that he had a “firm policy” at his firm — one of the largest in the country — to give black females work: “When I have a matter that is not too complex I look for black female counsel to brief,” he said. Again, when probed, Nkosi’s answers were deficient. He backtracked saying his choice of words were again poor and that he often went to enlist black and female counsel he found they were already busy so ended up briefing pale males. Nkosi crashed and burned — like a shack quickly being eaten by a fire racing through a densely populated settlement.